The Indonesian Association of Automotive Industries or Gaikindo will hold the 2018 Auto Show International Automotive Conference, the conference will take place on Tuesday (07/08/2018) in Nusantara Room 3 ICE BSD City Tangerang. 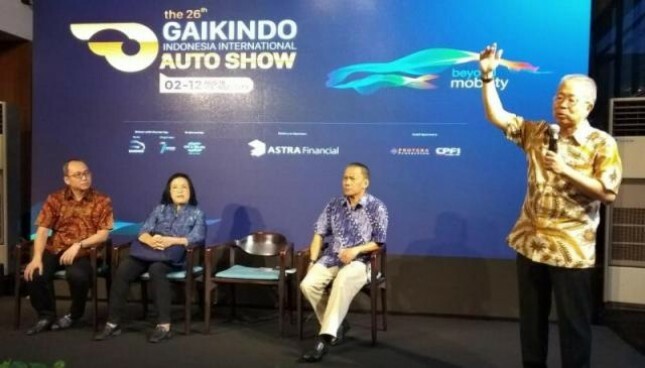 INDUSTRY.co.id - Tangerang - The Indonesian Automotive Industry Association or Gaikindo will hold the 2018 Auto Show International Automotive Conference, the conference will take place on Tuesday (07/08/2018) in Nusantara Room 3 ICE BSD City Tangerang. 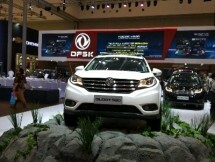 The conference will explore the latest Indonesian automotive industry issues, including discussions on emissions and Euro4 which will be implemented in the near future in Indonesia. The conference will open with remarks from the Chairperson of GAIKINDO, Yohannes Nangoi, and the planned presence of the Minister of Industry of the Republic of Indonesia, Airlangga Hartarto. In addition to presenting speakers who are professionals and experts in the automotive and environmental fields in Indonesia both from the Government and the private sector. In the discussion regarding Towards Beyond Mobility that will be submitted by the Director General of ILMATE, the Ministry of Industry of the Republic of Indonesia, Harjanto will be followed by discussions on the Roadmap: Technology & Environment that will be delivered by professional speakers in their fields. The first session will discuss urban mobility, renewable energy and sustainable transportation, Euro4 emission implementation standards for clean health and environment and comprehensive studies on electric cars in Indonesia. The conference will also be attended by the Minister of Industry of the Republic of Indonesia, Airlangga Hartarto who will deliver the Keynote Speech which will then be followed by a second session discussing the Role of Economics in the Development of the Automotive Industry in Indonesia. This second session will present speakers from the academic environment, government, economic observers and speakers from the automotive industry. With this conference, it is hoped that stakeholders in the automotive industry in Indonesia can get ideas and inspiration to face global automotive developments. It is also expected that the Indonesian automotive industry can continue to be a source of change agents in the field of land transportation and need to look at and prepare to face these developments, especially preparing the public for the future development of the automotive industry. Yohanes Nangoi, Chairperson of GAIKINDO, expressed great hope for the implementation of the 13th GAIKINDO International Auto Conference. "GAIKINDO wants this conference to provide insight into the latest Indonesian automotive industry issues, one of which is the implementation of the government regulation on Euro4, very important to drive the growth of the Indonesian automotive industry towards global industry, towards Beyond Mobility."